Biruté M. F. Galdikas was born to parents leaving Lithuania at the end of WWII for greener pastures in Canada. She was raised in Toronto in an ever-growing Baltic community. She states, “because of my mother’s tales and my parent’s fondness for nature, I became that unlikely combination of bookworm and nature lover”(39, Reflections of Eden). While growing up in Canada she often explored in the woods behind her home, envisioning herself becoming a great adventurer like the Man in the Yellow Hat from Curious George a favorite book form her childhood. 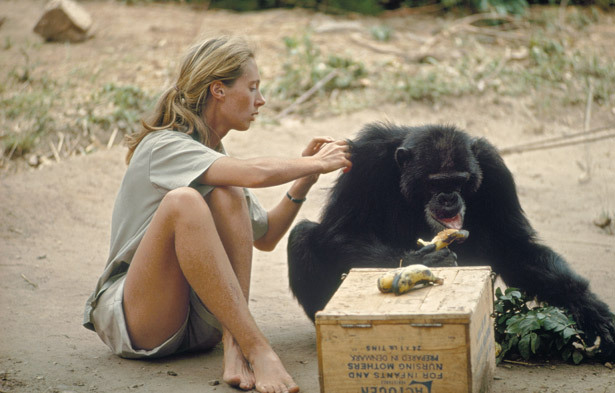 Of a chimpanzee researcher at Gombe National Park. Does Gombe sound familiar to you?? Well, if not, it should. 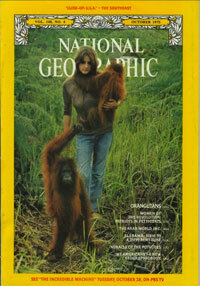 Gombe is where Jane Goodall began her groundbreaking research on chimpanzees, or Pan troglodytes.